Despite the Supreme Court's order, certain places including Mayur Vihar Extension, Lajpat Nagar, Lutyens' Delhi, IP Extension, Dwarka and Noida Sector-78 reported violation of the specified time period. 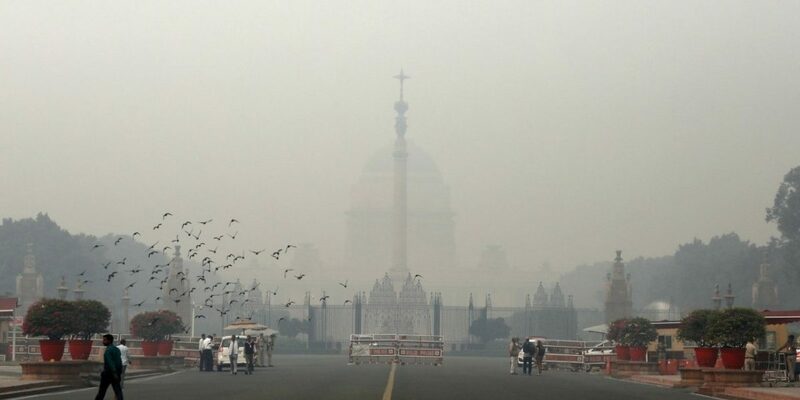 New Delhi: A thick haze engulfed Delhi Thursday as it recorded its worst air quality of the year on the morning after Diwali, with the pollution level entering the “severe-plus emergency” category, or 11 times the permissible limit, due to rampant bursting of toxic firecrackers in violation of a Supreme Court order, authorities said. 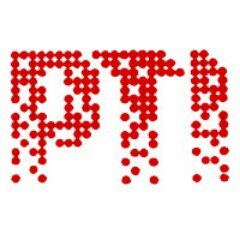 As Delhi’s government’s transport department banned the entry of heavy vehicles in the city from 11 pm on Thursday to 11 pm on November 11, the Supreme Court-appointed environment pollution control authority said it was monitoring the situation and will take emergency measures if the pollution level increases. The emergency measures include odd-even rationing of private vehicles. A report by research group Urban Emissions said close to 50 lakh kg of firecrackers were burnt in Delhi this year, the same amount of firecrackers burnt last year which equated to 1,50,000 kg of mass of PM2.5 (particles in the air with a diameter of less than 2.5 mm). The government-run System of Air Quality and Weather Forecasting And Research (SAFAR) warned that Delhi’s air quality is likely to remain “severe” over the next two days as smoke from firecrackers has slowed down the process of pollutant dispersion. Many residents and green activists voiced helplessness and expressed anguish at the violation of the top court’s 8-10 PM time limit for bursting firecrackers. Doctors advised people to stay indoors, use N-99 masks, that can filter up to 99 per cent of the particulate matter from the air. Many others said the ceaseless bursting of firecrackers on Diwali night in violation of the court directive has highlighted the difficulties faced by government agencies in enforcing orders when laws are routinely flouted and accentuated the “large gap” between the law and the capacity to enforce it. Besides fire-related injuries, the national capital Thursday saw cases of allergy and respiratory complications. More than 250 cases of burn injuries were reported in the national capital this Diwali. The Delhi police said it has registered over 550 cases and arrested more than 300 people for violating the court’s order. It said it has seized over 7,900 kg of illegal firecrackers, including 2,500 kgs on the day of Diwali, since Supreme Court ordered a ban on the sale of old crackers on October 23. The festival also kept Delhi Fire Services officials on their toes as they responded to over 300 calls about fire incidents, triggered by firecrackers and LPG cylinder blast among others, including an incident in which two children were killed and two others were injured. The number of calls, they said, were far more than that recorded on Diwali day during the previous years. Partly as a result of smoke from the firecrackers, the overall AQI in Delhi jumped to 642 which falls in the “severe-plus emergency” category, according to the data by SAFAR. “The Delhi Air Quality Index is 500+ at present. Early morning at 1 am, smoke layer became thick and started to trap pollutants near the surface rapidly. However, air quality is recovering from the afternoon and is likely to touch ‘very poor’ range by night provided no additional local emissions are added anymore,” it said in its report earlier Thursday. The concentration of PM2.5 and PM10 had increased from 50 per cent to 70 per cent last night, indicating an increased share of locally-generated firecracker emissions, SAFAR said. On Thursday, the PM2.5 level was recorded at 492 gm-3, more than eight times the permissable limit. The PM10 level was six times the permissable limit at 618 gm-3, according to SAFAR. Twenty three areas in Delhi recorded “severe” air quality while eight recorded “very poor” quality air, according to Central Pollution Control Board. A “severe plus emergency” level AQI essentially means that even healthy people may suffer from respiratory illnesses on prolonged exposure. This air will seriously affect those with ailments, according to a SAFAR advisory. The Supreme Court had allowed bursting of firecrackers from 8 PM to 10 PM on Diwali and allowed sale of only “green crackers” which have low emission of light, sound and harmful chemicals. Despite the order, certain places reported violation of the specified time period. These included Mayur Vihar Extension, Lajpat Nagar, Lutyens’ Delhi, IP Extension, Dwarka and Noida Sector-78. Admitting that violations were observed, police said it was manually not possible to monitor every incident considering the population of the city and a complete ban on firecrackers can’t be imposed till the entire community is willing to join hands. Twitter users took to the microblogging site posting pictures of people burning crackers wearing masks and slammed the “mass contempt” of Supreme Court’s order.